Structure and behaviour as Collared (which see); difficult to distinguish between the two. Adult slightly darker above than Collared, with no contrast between flight-feathers and coverts, lacks white trailing edge to secondaries, and underwing-coverts are jet black (but reddish brown in Collared can be hard to see, often appearing dark), tail fork shallower; when perched wings project beyond tail tip (in Collared approximately equal), and shows less red at base of bill. 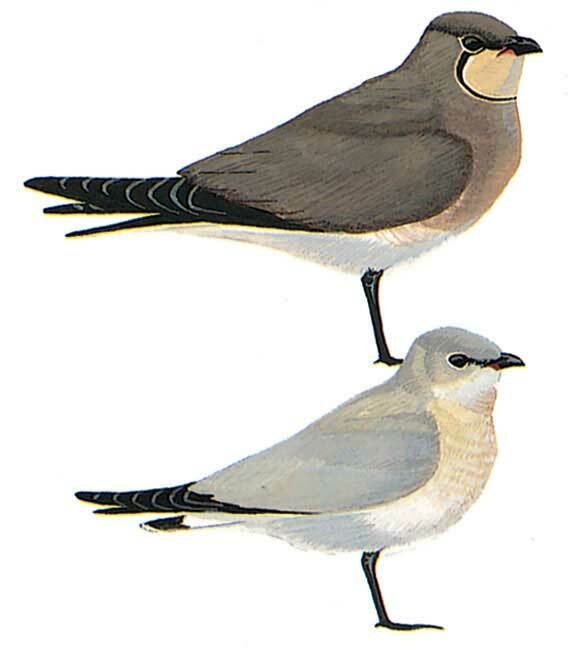 Non-breeding adult and juvenile resemble corresponding Collared but identifiable in flight by wing-pattern.